Javanese smiths were a group apart. They practiced a basic alchemy, "marrying" iron from the earth with pamor from meteorites of the heavens.Through transmutation by fire, they achieved objects of unquestioned power. The forge was a holy place. There is an enigmatic forge csene among the reliefs on Candi Sukuh, a fifteenth century templeo the western slope of Mt. Lawu near Surakarta.This cosmic forge is possibly a place that relates to the spirits of the ancestors, whose traditional abode is the mountains, the fire being the medium through which the souls of the ancestors could be released or an ancestral spirit could enter the blade being forged. Legends about smiths with their forges in or mountains are not uncommon, while those relating to the first smith gave him a divine origin. Divinity aside, tradition gave the keris smith a special place, naming him Empu. This title was reserved only for men of special power. It applied to the sage-priest and court poet (often one and the same person) who dealt with the super-natural and transformed thought and feeling into the tangible written word which carried its own power to "impress". It applied also to the gamelan gong smith while in the process of transforming crude material into a new form that could, when struck, magically affect its listeners. Smiths are sometimes referred to as pande, which also means "expert, skilled or clever". Since the skills and knowledge of the Empu were passed from father to son, their genealogis became very important to the understanding of stylistis relationships and patterns of influence. Most likely the sons learned by doing-working in the forge and gradually being entrusted with more and more difficult parts of the work. In the twentieth century and probably well before, there was a distinction between "trade" keris destined for a dealer orvthe open market place and those made under commission. The latter were much more carefully made following prescribed rituals and became more significant pieces, each matched to an individual and having a spirit. The best known empu, like other traditional artists, often came under the patronage ot the courts. There they worked in a special environment.They had access to the best materials and, through the practice of mutrani (copying), saw examples of the first quality. They enjoyed the companyof other highly skilled artists and the opportunity of royalty. Exceptional pieces recognized to have extraordinary power, might be accorded a title such as Kyai or Kanjeng kyai and incorporated into the sacrred regalia. The courts were also responsible for preserving some of the "Empu's knowledge". Court scribes recorded in intricate detail the names. 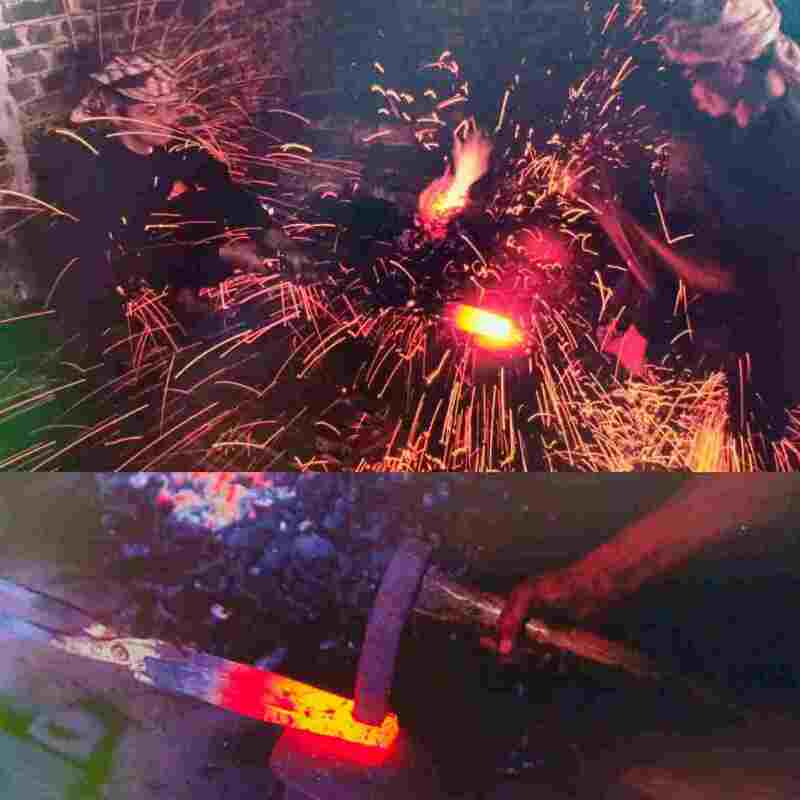 Characteristics and philosophical views of varrious types of iron, blade forms and pamor patterns, the recipes and rituals for proper care of the blade, and the stylistic differences attributed to different historic periods and individual empu. With the changing times the courts no longer fully support traditional artists. Sadly for the empu, it became cheaper to buy a good quality old keris than to commission a new one. 0 Response to "THE WORLD OF THE SMITH"